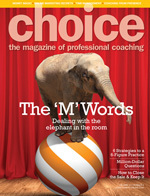 Choose a Coach - Coaching and Leadership International Inc.
Book your Power Coach® Now! Click on "Choose Your CLI Power Coach®" on the sidebar. Biographies and photos of certified Power Coaches are listed. You may personally choose the one that feels best for you. Alternatively, you can fill out the form below. At CLI we will scan your needs and recommend one or two Power Coaches that we believe could be a good fit for you. Feel free to call us at 1-866-254-4357 (North America) or 1 (250) 652-5390 to discuss your needs.